Fiat are manufacturers of a number of instantly-recognisable vans, available in a number of sizes to suit different requirements. 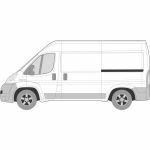 Do you own a garage that fits glass for Fiat vans? If so, Van Glass can provide you with high-quality Fiat glass to ensure your customers are happy. 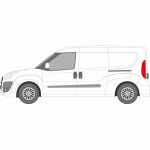 Whether you’re replacing broken van windows, doing a Fiat van conversion or anything else, our aftermarket vehicle glass is ideal. 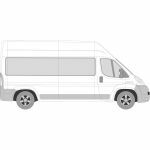 To order yours, have a look at the selection of vehicles we stock below. 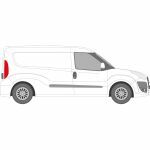 If you need some help, feel free to fill out our contact form or give us a call on 01228 810 018 to find out more about our Fiat van glass. In a hurry to get your Fiat van glass? 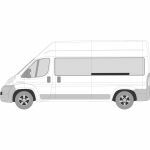 Order before 17.30 Monday - Thursday and Van Glass will have your order delivered the very next day (UK mainland only). 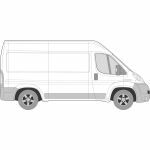 Need van windows fitted? Van Glass does not fit any glass, it only supplies. But parent company, tradewindscreens.co.uk in Carlisle does. Have a look at their website for more information. Not sure what glass to order for your Fiat van customers? Fill out our contact form or call on 01228 810 018 and Van Glass will be more than happy to make sure you get the right glass for your customers.